Have you ever thought to yourself “I’m not that creative”? Do you compare yourself to others who you think are “more creative than you”? If these thoughts have ever passed through you… are you willing to consider it’s simply NOT TRUE? Are you open to leaving the past behind and allowing creativity to flow through you, right here and now? It’s the inner critic’s job to keep you away from the creative intelligence you were born with. It’s that voice of doubt that keeps you (me and we) away from accessing your innate creative genius. So, if you’re willing to consider for a moment that YOU ACTUALLY ARE CREATIVE, then it’s just a matter of accessing it within. 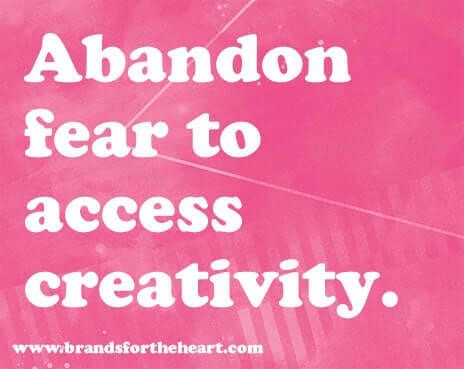 Abandon fear to access creativity. One of the things that holds you back from being more creative is the fear of making a mistake. You’ll be more creative when you give yourself permission to make mistakes and explore new ideas without the limitation of having to be perfect, right or seen by others. Get curious and vulnerable about the unique challenges you are facing. Some of the best ideas are born out of paying attention to gaps, mistakes and frustrations. 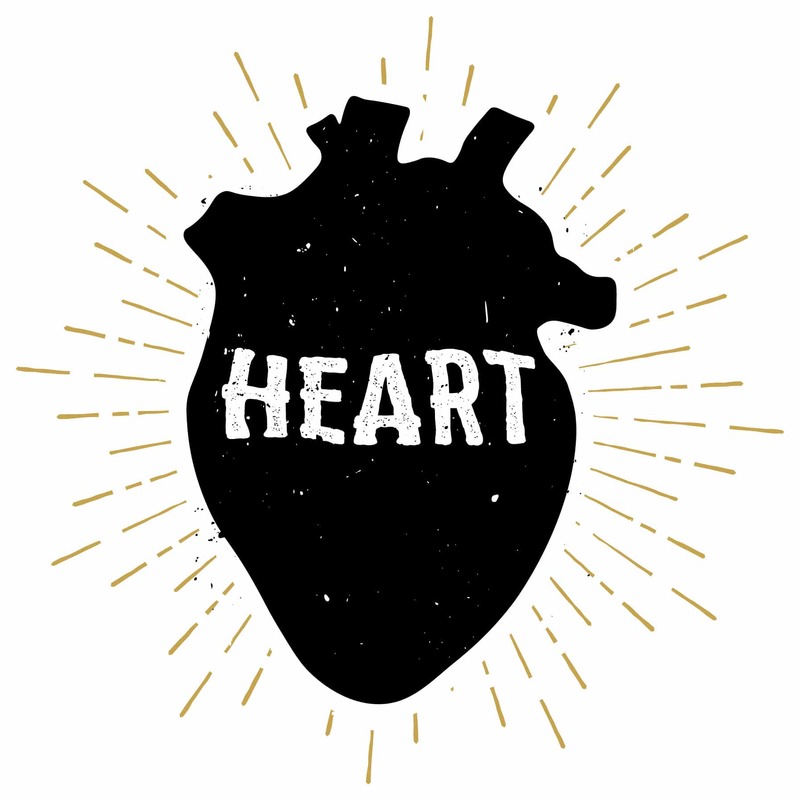 Quiet the voice of fear by creating a sacred container for you to feel more safe to be creative. Ask yourself what would make you feel safe to take creative leaps? One of the things I personally do when I’m in a group setting is to set the tone with others by saying that there are no bad ideas and that we will capture all of the ideas that are shared as part of the brainstorming process. This helps set the tone for respecting “new thoughts” and ideas as they flow through without turning to judgement. You will abandon fear when you stay open, get vulnerable and suspend judgement. 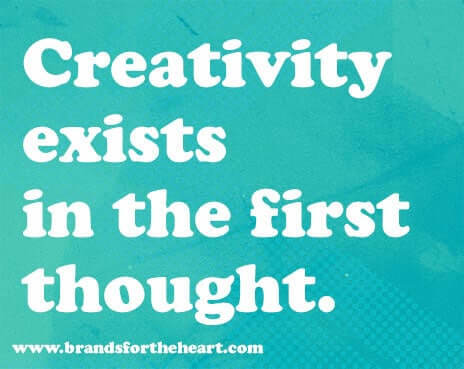 Creativity exists in the first thought.  It’s the inner critic that comes through in the second and third thought that starts to misdirect you from responding to your innate creative force. When creative ideas come through they may not initially make sense. It might even sound crazy. That’s why the inner critic immediately follows up those thoughts with the practical voice of reason. If you want to be more creative it’s incredibly valuable to start listening to the first thought because it’s your intuition guiding you. When you start following your first thought more and more, it’s like exercise for your intuition. Even if it’s as simple as turning left instead of turning right on your regular running route or drive home. Your intuition needs practice and exercise! 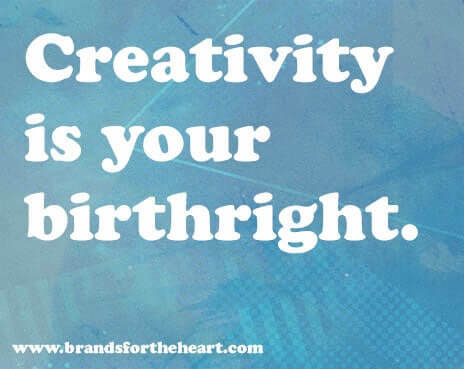 Creativity exists in the first thought. 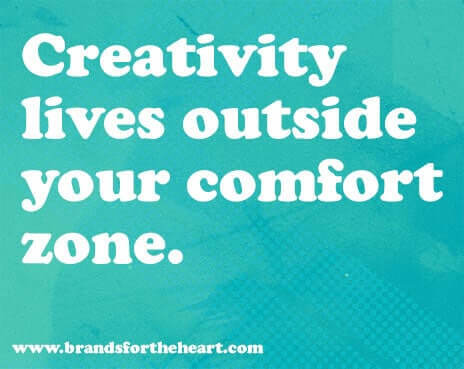 Creativity lives outside your comfort zone. Human beings love patterns and routines, but these patterns can also breed complacency if you’re not careful. Patterns can numb your creativity and stop you from responding to your intuition. When you’re intuition guides you away from following your regular running route or drive home it’s almost automatic not to respond to it because it doesn’t make sense. The next time you are guided to turn left instead of right follow it, you never know where your intuition could be guiding you. 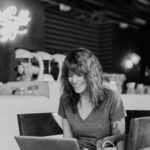 You can practice this too by doing simple things like working in a different environment, writing with a purple pen, being creative at a different time of day or night or getting out into nature. Whatever you do, be sure to make it fun and enjoyable. Don’t punish yourself when you’re trying to be more creative, follow your intuition for more joy. Be mindful that you’re not forcing yourself to get up at 4am when you’re not a morning person. Creativity lives outside your comfort zone. Don’t stop at the first good idea. Instead of merely focusing on the result that you’re looking for instead allow yourself the time and space to be creative. For example, if it’s your goal to come up with a headline give yourself 20 minutes without any distractions and focus on coming up with as many ideas as you can. Even when you come up with a great idea, keep going, dig deeper, go further. The subconscious has all kinds of incredible gifts and ideas in it when we give it some breathing room. I’d love to hear from you… what do you do to be more creative? Good read! For me, an important aspect of getting creative is being inspired. Before painting, for example, I often Google photography, and pieces that are similar to what I’d like to create. As a highly visual person, I find the exposure to other creative pieces helps me generate ideas.